We managed to fit in a quick trip to Lombard Street this morning as seen, before packing our bags and heading off in our hire car. Today we travel the west coast down to Monterey Bay for our next five nights in California. 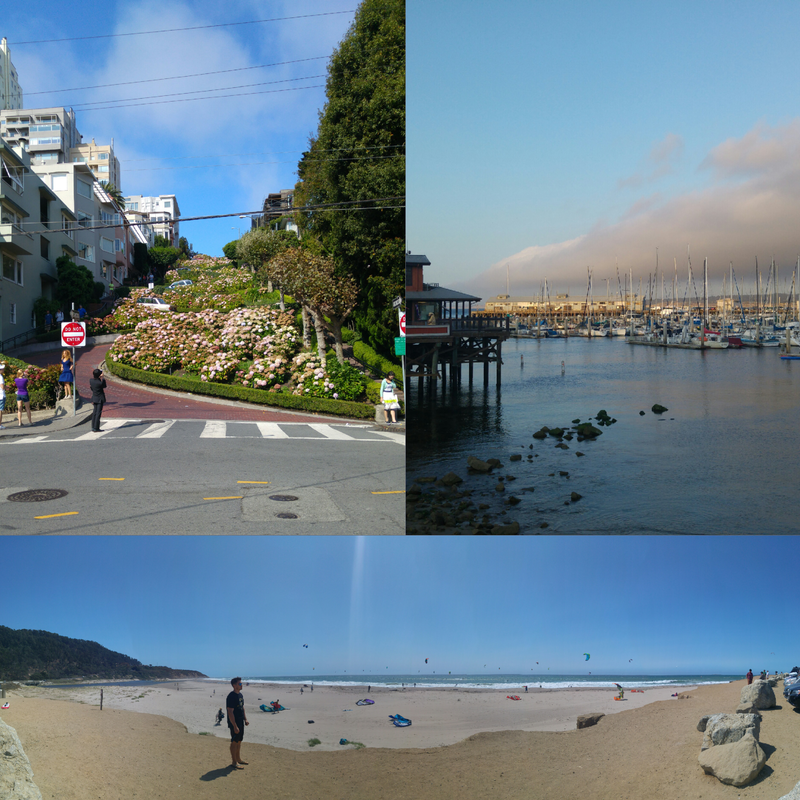 We had a gorgeous toilet break as seen in the bottom photo, and then finally drinks and dinner at the bay itself. And thus begins the relaxing side to our Californian trip!